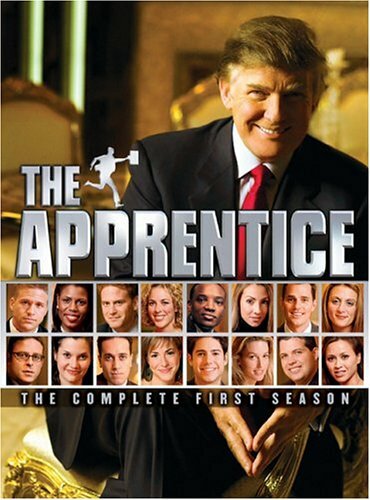 Posted on Thursday, March 24, 2011, by Eric - TV Geek Army "Revered Leader"
(S0403) Now that we’re several episodes into the new season of Celebrity Apprentice, we’re getting a much more solid read on who the power players are who have the potential to go deep into the competition, the dead wood that is waiting to get chopped, and finally, the sideshow celebrity freak show circus acts who Donald Trump and crew will keep around as long as possible to help boost ratings (when The Don is not running for president, that is). This week’s challenge involved staging a demonstration for the luscious recreational vehicles of Camping World. Both teams employed a strategy to put someone they felt was a weak link into the project manager slot. For the ladies, it was Niki Taylor, someone the gang – and that would mostly be the Gang of One that is Star Jones – felt was inexperienced and weak, while for the guys, original loon himself Gary Busey was pushed into the spotlight. While Niki had a difficult time managing the hypercompetitive and cat fighting members of her squad, the men managed to overcome Busey’s highly inconsistent leadership through the creativeness and hustle of country singer John Rich, Sugar Ray frontman Mark McGrath, pop legend Meatloaf, and hip hop star Lil Jon. I believe at least one of the finalists will come out of that foursome, as they work well together while coming up with winning ideas. The men won a challenge that was largely based on interior design and presentation, which shows you where the balance of power lies at this early stage. Even Busey can be terrific when put in the right role, as he was when cast as the character of the Pepperoni Prophet during the initial pizza parlor task. Jose Canseco is easily the least impressive contestant remaining on the men’s side, bringing a dull surliness to the fore that is in sharp contrast with the rest of his team. In terms of the women, Star Jones has clearly made herself out to be someone to reckoned with, though her superior attitude and pushiness are making enemies already (particularly with Nene Leakes, pulled up to the ranks of celebrity by way of The Real Housewives of Atlanta). Meanwhile, Marlee Matlin (who I always wished found a larger role on The West Wing, as an aside) is proving to be the smart, capable, and reasonable one thus far… unfortunately that doesn’t always pan out so well on a cutthroat show like The Celebrity Apprentice. “I keep it 100. Your issue is with these girls.” – Nene Leakes. This is at least the second known use of “keeping it 100” on a Rob Burnett produced NBC show. “The task was not organized well from a leadership perspective.” – Star Jones. I think I might faint if Star ever compliments a project manager not named Star Jones. I love Star Jones saying “we love you” after Niki is fired. Destroy Then Love may be embroidered on a pillow somewhere in Star Jones’ abode.